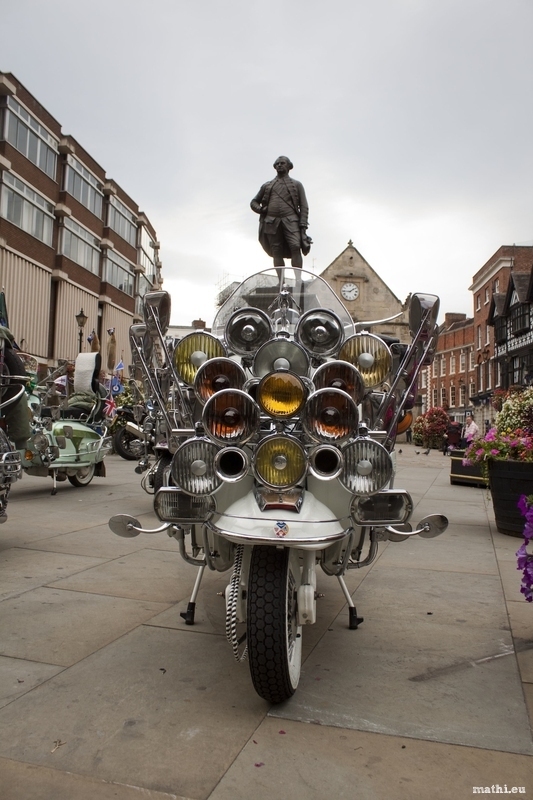 A crazy modification on a Vespa Lambretta. Presented by the Severnside Lions Club in Shrewsbury today. Vespa? Looks rather like a Lambretta to me!